Hello and welcome to my blog. 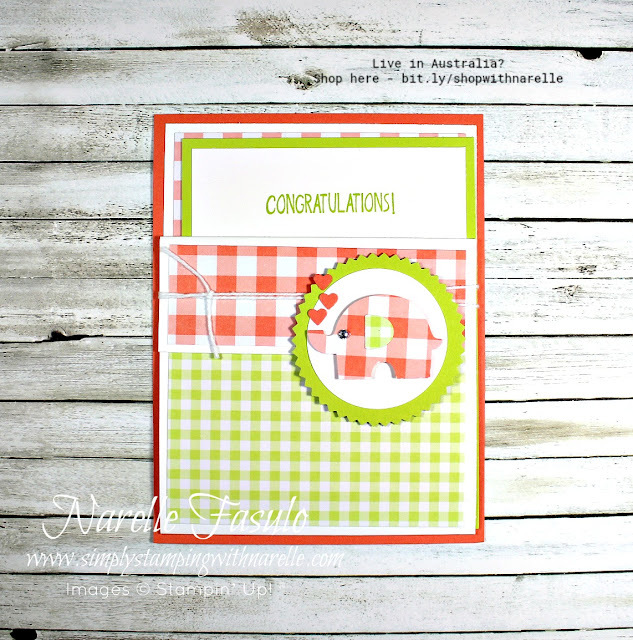 Today I have a couple of very cute and easy cards for you. If you know anyone who is expecting or has recently had a baby, then you are going to love these cards. You can make them so quickly and easily too. 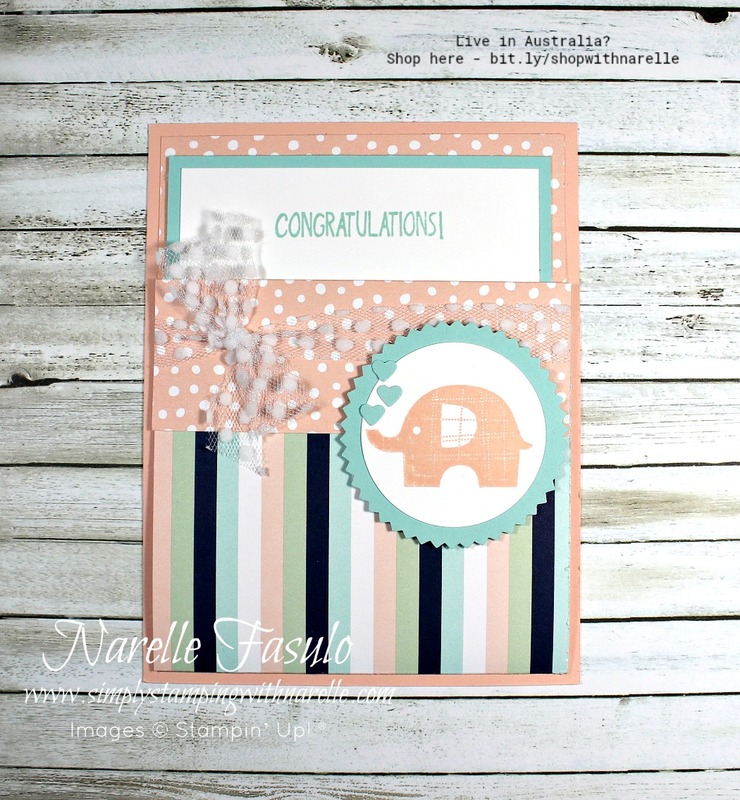 I have used the Little Elephant stamp set and Elephant Builder punch. You can buy these separately or get 10% off when you buy them together. 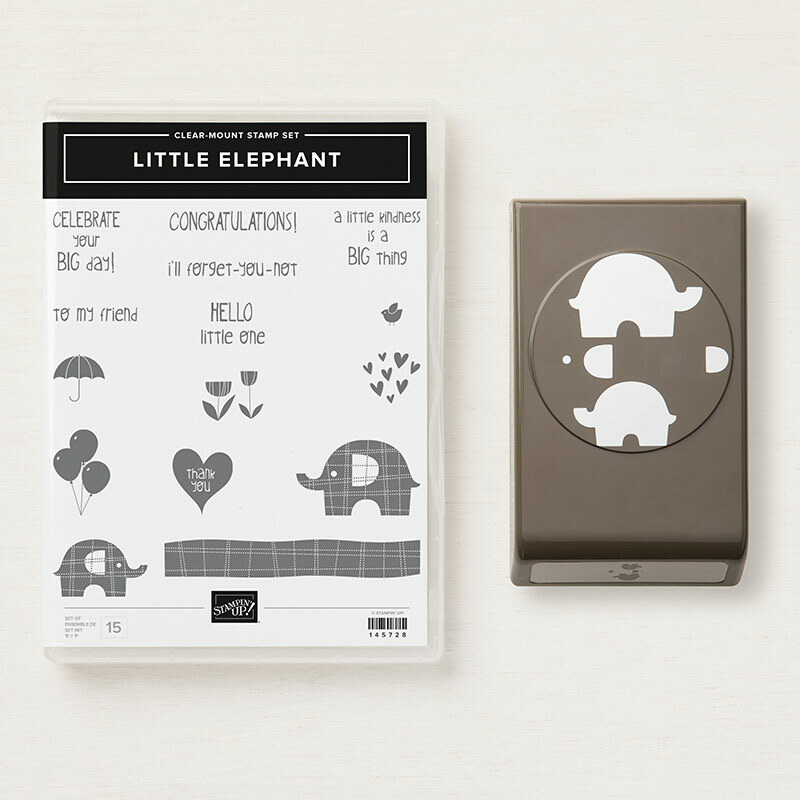 Isn't the stamp set so cute, and I love that the punch cuts out both sizes of the elephant. And it even cuts out the ears. So cute. Here are the cards I made. 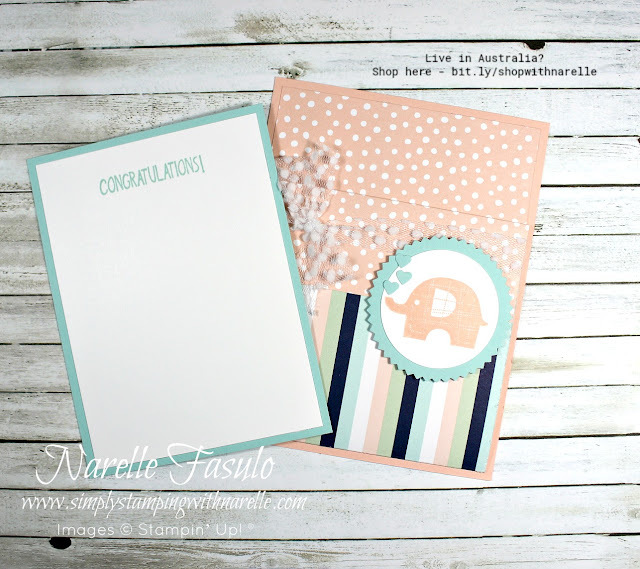 The first one is in traditional baby colours, all soft and muted. You can probably tell it's not your normal folded card. It is just a little bit different. The card sits in a little pocket. 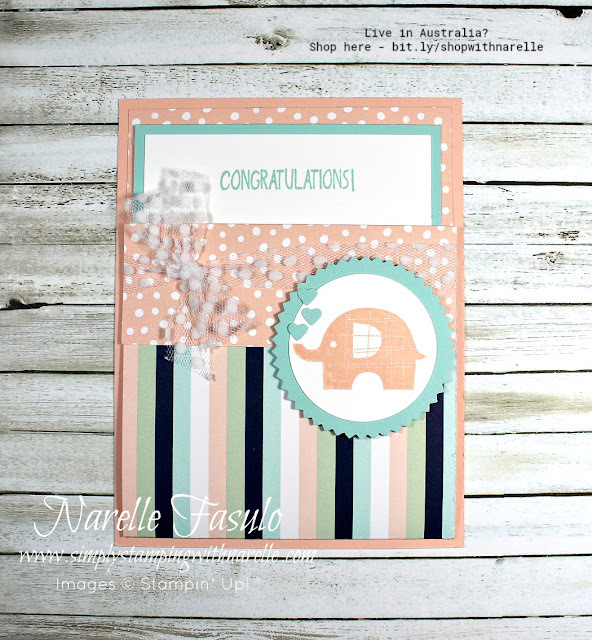 This design is cute and so easy to make. I have a video down the bottom showing you how I made them. Because not everyone likes traditional baby colours anymore, I decided to make another one with much brighter colours. 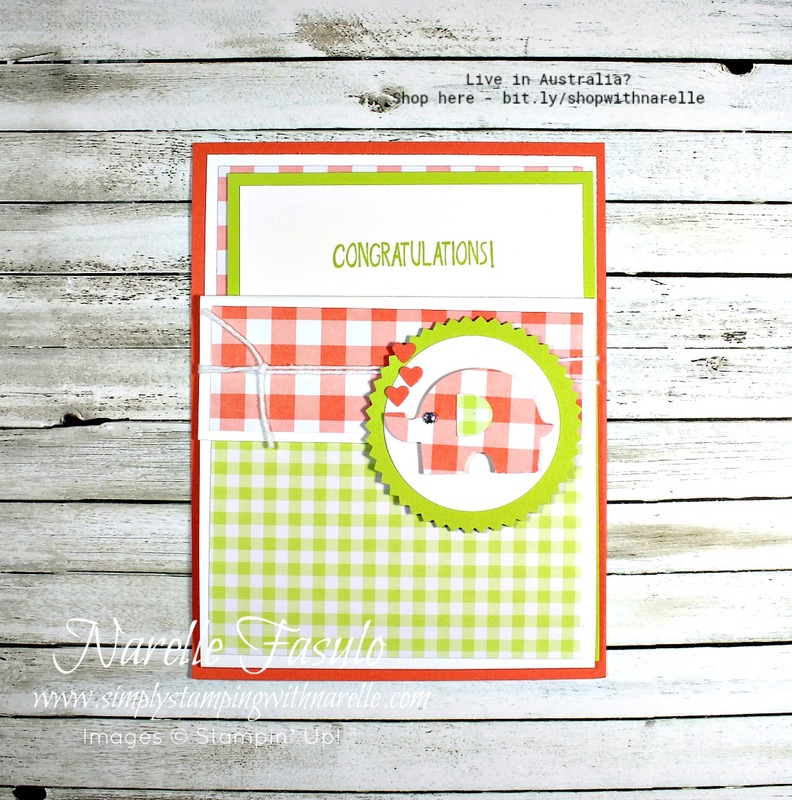 I love the gingham check on this one. It reminds me of the baby blankets I used to use for my two children. 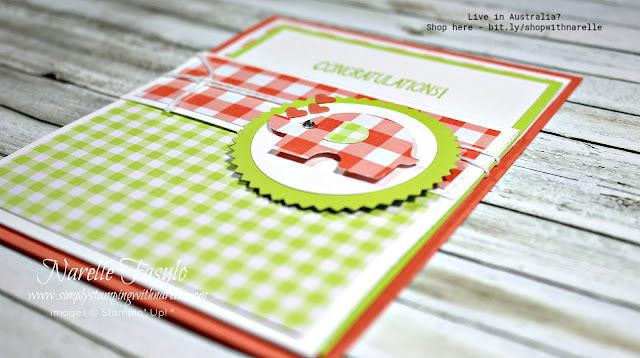 If you want to recreate these cards, then watch the video below. 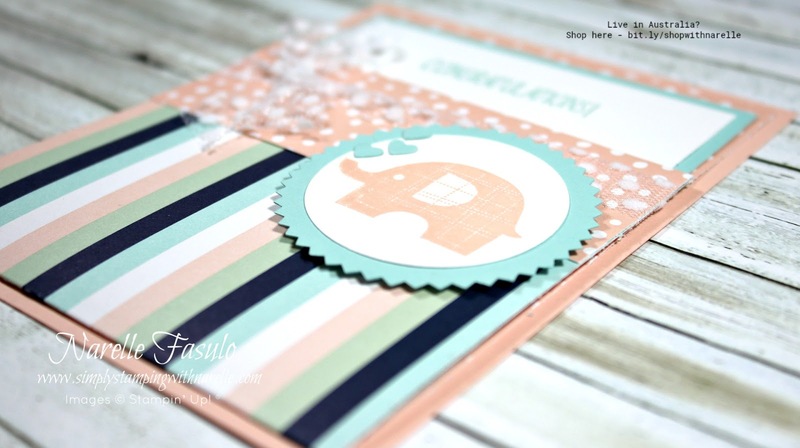 It is a replay of when I created these on a Facebook Live stream. To purchase any of the products I have used on these cards, please see the shopping list below.